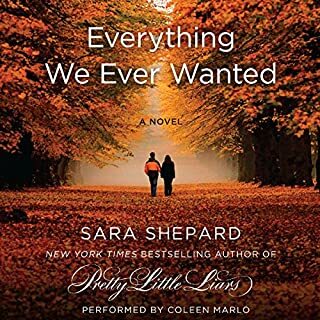 I'm only an hour into the book, so I will update this when I actually finish... That being said, I read the reviews complaining about the new narrator but the first book was so good that I thought "how bad can it be?" It's bad. 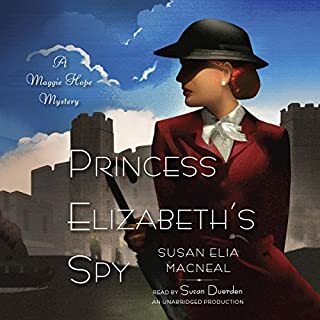 The new narrator makes Maggie Hope sound like an earnest teenager not an accomplished woman who had been accepted to an MIT graduate program. In my limited opinion, I think a lot of the complaints about the dumbing down of the book are related more to the narrators little girl-like voice and may not be fully attributable to the writer's efforts. 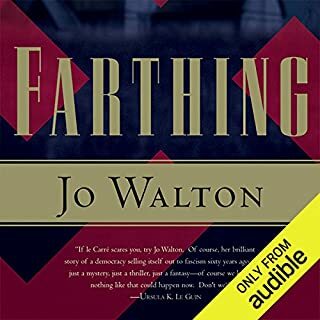 Again, will update when I finish, but if I could go back in time I'd read this book in print than continue to slog through the Audible version. Would you listen to Year of Wonders again? Why? Listen - no - really didn't like the narrator's tone of voice. What was one of the most memorable moments of Year of Wonders? The strength and fortitude of the main character Anna Frith. Who would you have cast as narrator instead of Geraldine Brooks? Almost anyone; maybe Davina Porter? If you could take any character from Year of Wonders out to dinner, who would it be and why? Anna Frith, perhaps Eleanor as well. I'd love to hear more about Anna's experiences during the epilogue of the tale. 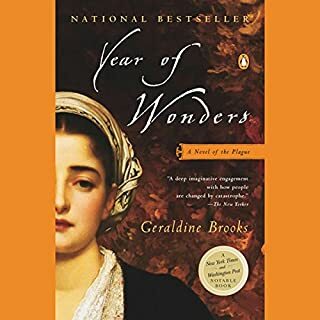 I enjoyed the book, and the adaptation of this 'true' story of a plague year in Darbyshire, England. My only complaint; the narrator had the most annoying nasal, downcast quality to her voice. 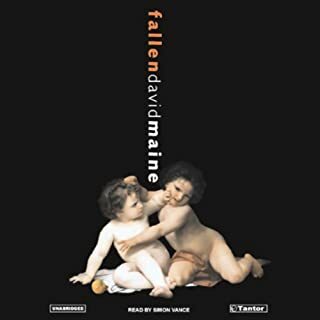 While this was not a happy story for the most part - each time I started up the recording my own mood would deflate to match the tone of the story. 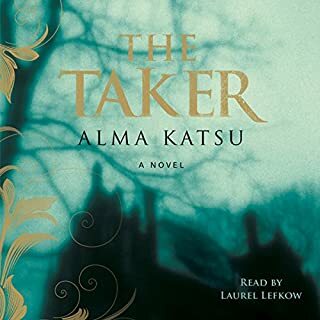 Once the book got going I could kind of ignore the tone of the narrator's voice - but ugh - not my favorite narrator by any stretch. Essentially this book is about a group of people who's most firm connection to each other is their lack of communication. No one 'really' speaks to anyone. It's an allegory of how assumptions and fear leads to barriers. A decent read - but not all that 'enjoyable'. How the series all began! Hated the beginning but it got better. I chose this book as it reminded me of the All Creature's Great & Small series - just for people. Initially I hated the arrogance/self-importance of the main character. 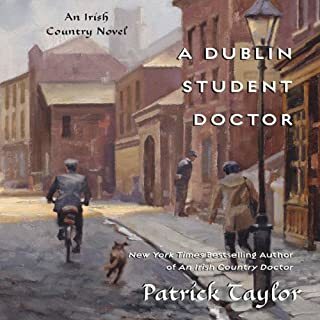 However once the story focused more on his past as a student doctor - I got what I was looking for and became much happier with the story. A decent read - but not good enough to seek out other titles in the series. I read an article this week that defined happiness as "being satisfied with what you have" if that's true, then this book is the definition of unhappiness. Based on the description; I did not expect the book I got. That being said - I'm not sure what I was expecting. I think clearer resolution might be it. I felt like the book "ended" as opposed to it being "finished". I will say that I think Lanny did finally start to mature emotionally by the last chapter, I don't think it was enough of a leap to really make me feel like the journey was worth it. I had been considering reading this book and then a book club I belong to selected it for this month's selection. I'm glad I had a reason to finish what was otherwise a pointless and dull book. 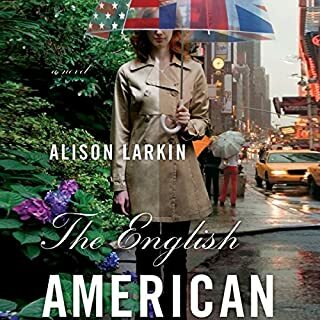 I chose the English American, mainly because my mother's maiden name is Larkin and she was always a very strong Anglophile, so I probably came to the book for different reasons than the average reader. That being said, I found the book by turns heartbreaking and delightful. I so wanted Pip's (birth)mother to not be the woman she was. I wanted her (birth)father to be less impressed with his own self-importance. But I also cheered for Pip and her own journey of self-discovery which she wouldn't have taken otherwise. Finally I think the unsung hero's of the story are Pip's (adoptive) parents. Not every parent has the love and faith necessary to let their child explore where they came from, without feeling rejected by that child. Bravo, to them for loving thier daughter so much they let her become who she truly is. Like others, I bought this title on a whim, and found myself a bit dissapointed. While the format of reverse chonology was interesting I found the writing rather superficial. The author seems to skim the surface of the aspects of the story he found less interesting. Delving more deeply only into the existential questions that interested him. I bought the book as part of Amazon's recent 100 for $10 sale - for that price it was mostly worth it.